Don’t lose sleep at night worrying about the inefficiency of your garage doors because at GreenPro Locksmith, we are committed to providing dependable garage door safety and maintenance services at your convenience. Call us today to get exceptional garage door safety services including garage door installation, old garage door repair, garage door upgrades and safety inspections. We know how important the garage door is to the safety of both lives and property in your home. When you give us a call, our experts will walk you through a number of issues so you could make an informed decision and we go the extra mile to get the job done right the first time. Here are some helpful safety tips to keep your garage doors in perfect working condition. If it’s getting difficult to open your garage doors recently, chances are that the springs are worn out, old or broken and the doors might be heavier, and out of balance. It is time to replace the springs of the garage, because it could cause serious injuries in your household. Call professionals from GreenPro Locksmith to replace the springs of your garage. This will help maintain the safety of your home and efficiency of the garage doors. Frayed and worn out cables can break at any time, and this will make it difficult to open the garage doors and can cause injury. There are specific instruments that should be used to replace the cables, so call professionals to help you fix that. For homeowners who use wireless remote systems in their garage doors, like the fixed code garage systems. We recommend that you change it to the rolling code garage systems because the fixed code types can be easily compromised by thieves with a reprogrammed children's toy called IM-ME. A rolling code system has advanced security features and can change the code with each button press. However, you need professionals to make this all-important change from the fixed code system to rolling code garage door systems. 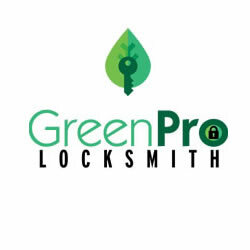 Therefore call GreenPro Locksmith, and we will perform the changes as fast as possible. If your garage door is getting more difficult to go up or down, the bottom brackets may be under extreme tension and it damage within a short time. Call professionals who understand the temper-resistant technology of various manufacturers and it will start working perfectly. The garage door is used on a daily basis, and that is why most of its components can get frayed or worn out within a short time. When the parts of the garage door are broken or damaged, your security can be compromised, and it creates potential safety issues for everyone in the household. We understand that the garage is probably the heaviest moving object in your home; that is why we also provide garage door planned maintenance services to keep everyone and everything safe and secured. For emergency garage door safety services, call professionals from GreenPro Locksmith to get a tailored service at an affordable price. 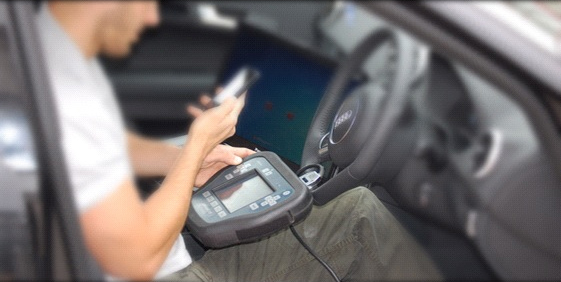 Microchip car keys, also referred to as transponder keys are designed to keep your car safe. They rely on special codes a car must recognize and without this key and right programming, that car wouldn’t start. Cars relying on transponder keys are becoming more popular, and if yours is having programming issues, you can contact us at GreenPro Locksmith for help.